Lisa Frank is free from the underground bunker she’s haunted for so long. Like a messianic force, she now walks among us—and she is here to tell you your future. In reality, Frank—who I am still unconvinced has a face, and who is very much alive—hasn’t actually released her psychosis-inducing color combos from the Rainbow Gulag-run prison they call home. Instead, an artist named Ariel Hart has done an incredible and convincing job of making me think otherwise. Hart’s brainchild, which went viral on March 16, is a set of customized Tarot cards made to accurately resemble original Lisa Frank designs. They’re all in the style of something you’d find on your trapper-keeper from third grade, and feature the multi-color panda bears, cheetah prints, and orca whales we know so well. According to Hart, that was exactly her intention. 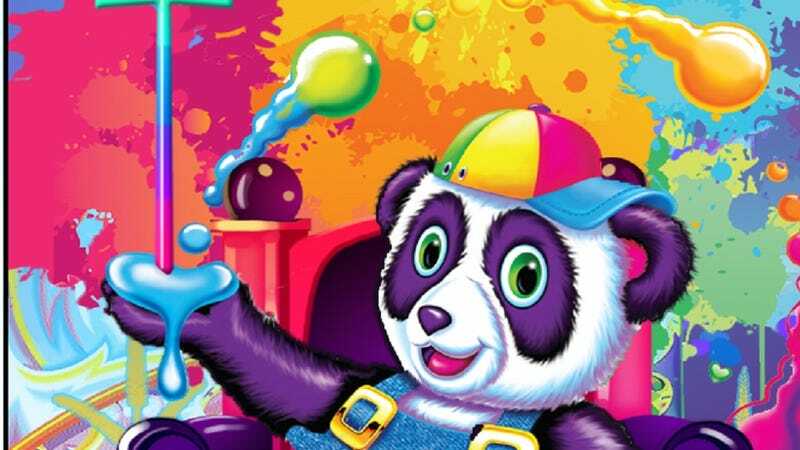 “Lisa Frank is a great example of a brand that was likely intended for young people that inadvertently found a way to stick with them for the rest of their lives,” the artist told the Huffington Post. As for me, there is nothing, nothing on this earth that reminds me of my own mortality than a Tarot card featuring a unicorn with hair the color of Rainbow-Brite, surrounded by smiling stuffed animals, and labeled “DEATH” in all caps. This means, in my approximation, that Hart has done a damn good job. Long live Lisa Frank.